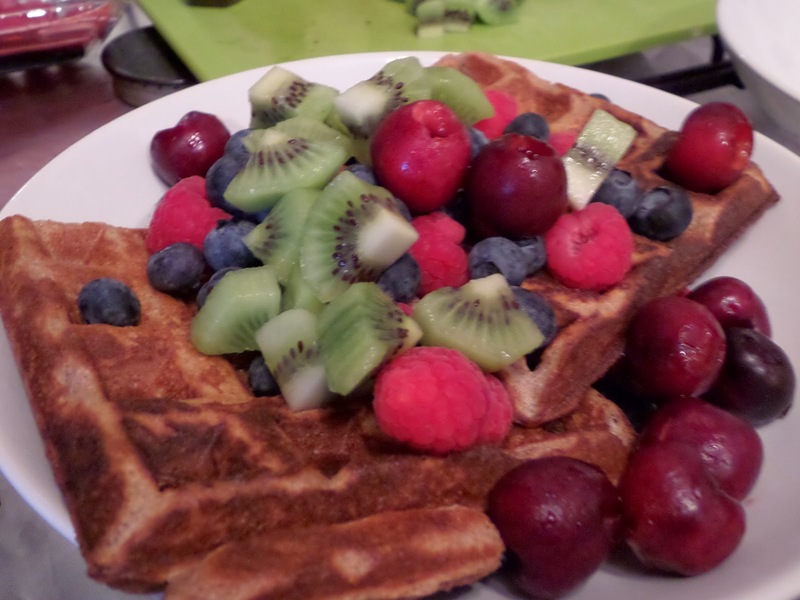 The last time we did cinnamon waffles there wasn’t much cinnamon flavour, but apart from that the batter was great. 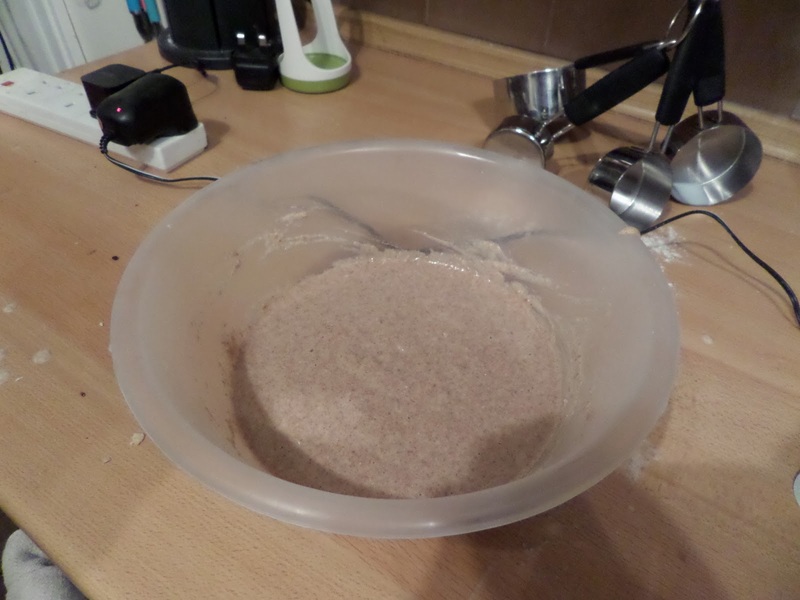 So I’m upping the cinnamon from 1 tsp to 1 tbsp (3 tsp… or rather due to the thin neck of the cinnamon jar: 6 half tsps :). The only other change is to cooking time, where I’m going to up to 5 minutes to make sure they get a proper crisping up. Then they get served with oodles of fruit. I’m glad to report that the 5 minutes cooking time is perfect, and that cinnamon could be tasted!